The average buyer attends three open houses during their home search, first-time buyers being the most likely buyers to attend them. If you’re new to the market it can be helpful to know how to make the most of these visits. Even if you’re a more experienced buyer, open houses provide an opportunity to make a second or third visit to a property to get a closer look and uncover things you may have missed earlier and get a sense of what the market competition looks like. 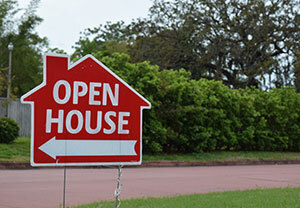 Below are 5 ways to ensure you get the most out of your visit to an open house. Open houses make it possible for anyone to see a property without having to make an appointment. It’s a great way to get a sense of the market. Open houses are among the best ways for a buyer and agent relationship to begin. You don’t necessarily have to sign in at an open house but it’s always a good idea to introduce yourself to the listing agent that is present. The listing agent is there to answer any questions you may have so they can sell their client’s home but they are also there to keep an eye on people make sure nothing weird is going on. An active buyer should definitely make yourself known to the listing agent and let the agent know who your agent is; don’t be afraid to express interest in the home either. You can tell a lot about the desirability of a home by keeping an eye on how people are interacting with the home. If there are a lot of people coming and quickly walking ut there may be some issues with the home. If you see people hanging around, talking to their spouses, or asking the listing agent questions it’s a good sign that this may be a sign of a well-priced or “hot” listing. Why is the house selling? Is there a certain day you are reviewing offers? Have you had a lot of showings? What are the seller’s motivations to sell? Keep an eye on the listing agent’s facial expressions when they answer your questions, they can tell you a lot. Check out some open houses coming up in the Greenwich, CT area!